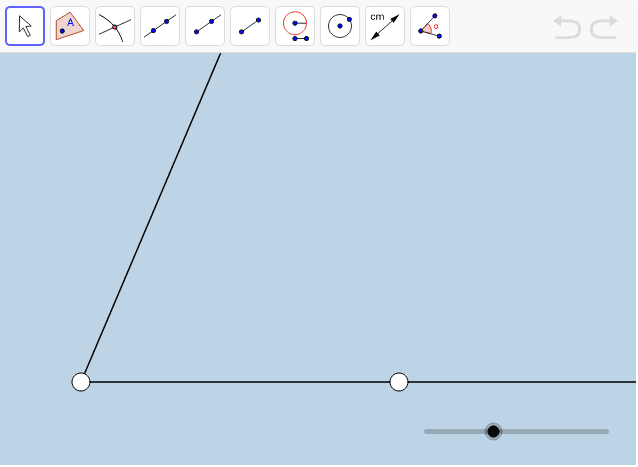 ﻿In the applet below, use any of the tools contained within the limited toolbar to construct a ray that bisects the given angle. When you're done with your construction, be sure to use the angle measuring tool to show that your ray bisects the angle. If you can't remember what it means for a ray to bisect an angle, refer to this previous worksheet.